• I will breathe easier. • I will be healthier. • I will save money. • My body and clothes won’t smell like tobacco. • I won’t have to worry about looking for places to smoke. • My friends and family won’t be exposed to secondhand smoke. Decide on a day you will stop smoking and make a plan to quit. Know your smoking triggers. Make a list of your smoking triggers, and then plan how to avoid them. • I smoke after meals. Instead, I can chew gum, have coffee or leave the table. • I smoke in the car. Instead, I can ride the bus, carpool, or sing with the radio. • I smoke when stressed. Instead I can take deep breaths and learn relaxation techniques. There are many ways to quit smoking. Decide on which method(s) are best for you, then create your personal plan. 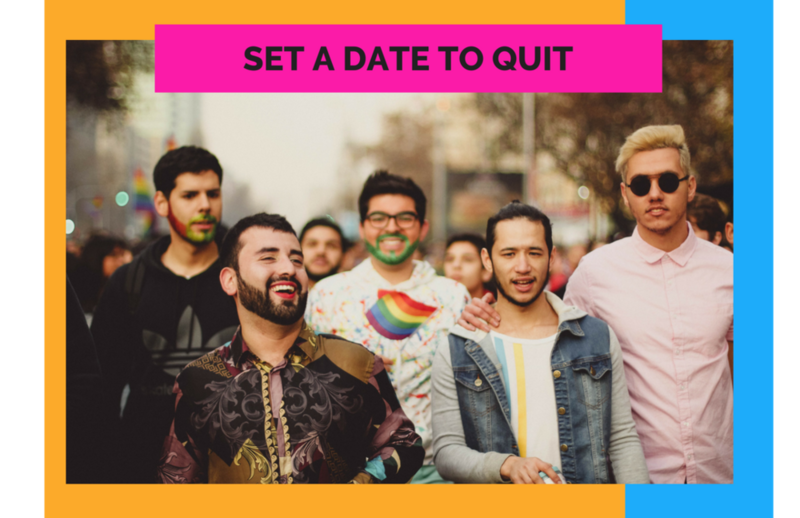 TAPERING: Beginning on your quit date, gradually cut back on the number of cigarettes you smoke each day. Mark on your calendar the day you will no longer smoke. COLD TURKEY: This means you stop smoking all at once on your quit date. It’s a good idea to throw away your cigarettes and lighters and avoid other people who are smoking. NICOTINE REPLACEMENTS: You can buy nicotine patches and gum at any pharmacy or drug store to help manage withdrawal. They work by releasing small amounts of nicotine into your body. A nicotine nasal spray is available by prescription. NON-NICOTINE PRESCRIPTION: Your medical provider may prescribe medications such as Zyban to help control nicotine cravings or Champix, a nicotine blocker. • Call a free quitline or contact us to get support. • Join a cessation group so you can be with others who are quitting. • Ask an ex-smoker in the community to be your guide and support person. • Make a list of people you can call when you have an urge to smoke. 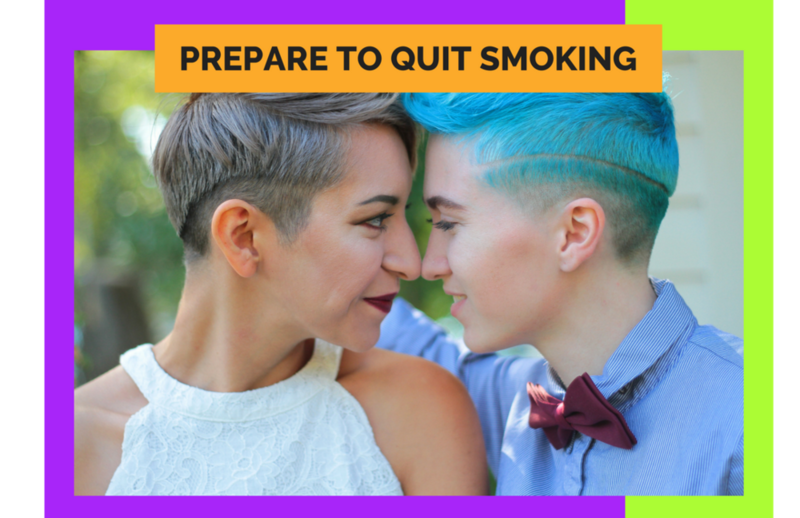 • Tell friends and family you are quitting and ask for their support. • Call a friend or family member for support and encouragement. • Keep your hands busy – doodle, knit or text. • Wear a rubber band around your wrist. When you really feel like you want a cigarette, snap the rubber band a few times. • Picture a red stop sign. • Chew on gum, a straw or a mint toothpick. • Find activities like exercising, gardening, washing the car or showering that make smoking difficult. • Avoid people who smoke, and spend more time with non-smoking friends. • Change your surroundings; get up and move around and do something else. Mistakes happen, and if you have a relapse remember that it's just a slip. Don’t let it be an excuse to continue smoking. • Don't let it be an excuse to continue smoking. • Set a new quit date or renew your resolve to quit smoking. • Call your support team and ask for encouragement to try again. • Make a plan to cope with whatever triggered your smoking.